Project Skills Solutions completed over a year long project at Crusely Trailer Engineering in January 2015. Crusely Trailers were moving to a new site and were building a purpose built yard to meet their exact requirements. The client wanted to use one contractor for all of the electrical services and mechanical works, so came to Project Skills Solutions. 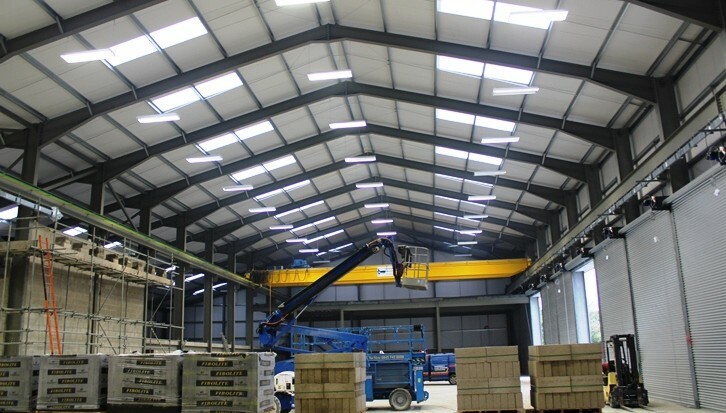 We installed the lighting throughout the warehouse, offices and all the external lighting across the site. 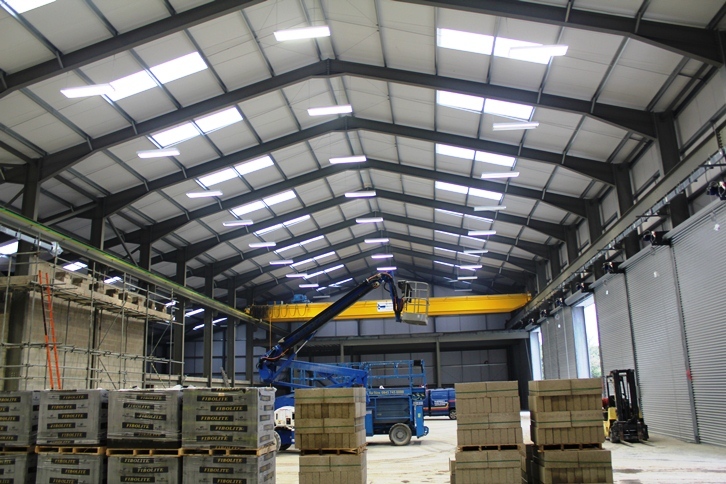 In the warehouse the lighting which we installed was low energy high bay light fittings. We installed low energy T5 non corrosive fittings throughout the store rooms and low energy T5 grid lighting throughout the office. We installed full emergency lighting throughout the building. 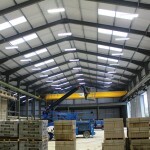 We installed low energy lighting throughout as this is the most cost effective way for the client to light the building. We installed nine CCTV cameras across the site, in the office building (hallways), warehouse and externally. The cameras have been set up for remote monitoring so that the live feed can be accessed anywhere on a smart phone or tablet as long as they have an internet connection. Entry and exit barriers were fitted so that lorries have to gain access and can’t just drive on site. There is a call point on the entry gate so that drivers can call the office and then the office staff know exactly who is coming onto the site. All staff have proximity cards so they can easily gain access and don’t need to call the office to be let on site. A fibre optic cable had to be installed because the front camera is more than 90 metres from the server room which exceeds the distance for copper cabling. The client had specialist requirements for the power distribution for the lorry bays. Crusely needed each lorry bay to have its own distribution panel with outlets so if one bay lost power it would not affect any other bays. Panels were manufactured specific to the clients needs. We installed a 250 amp buzz bar for power distribution for the 12 lorry bays and the front machine workshop. If you are moving your business and want us to quote for the re modelling or complete new build get in touch with our installs team today.